For the past few weeks I've been keeping pretty busy trying to get some pre-Baselworld photos and footage of several upcoming new releases from some of the exhibiting brands. God I love living in Switzerland! 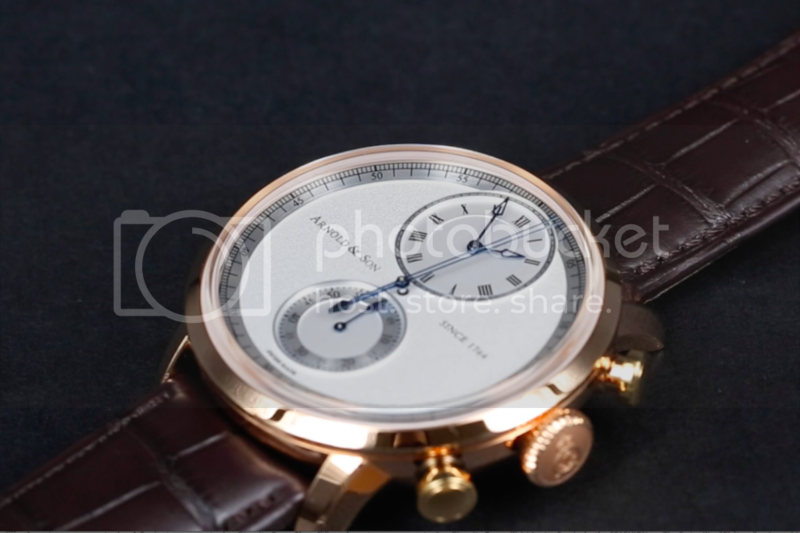 Last Thursday I headed up to La Chaux-de-Fonds to visit a handful of manufactures (including one that has a forum on Timezone.com ;) ), one of those being Arnold & Son who have already officially announced some of their Baselworld 2014 new releases. The most recent watch announced just this week is the CTB, the world's first chronograph with a central "true beat" or dead seconds hand. Basically, the chronograph functions as you would expect, with a central smooth-sweeping central seconds hand and a minutes register at 6 o'clock. The patent-holding twist is that the watch also features a central "True Beat" or dead constant seconds hand. When the chronograph is activated in synch with the constant True Beat seconds hand at 60 seconds, the visual affect is quite fascinating as it gives the impression that the chronograph hand is trying to catch up to the dead seconds hand, like a horological game of "cat and mouse". More on this piece after Baselworld. Previous Topic: Advice for buying 2 watches!